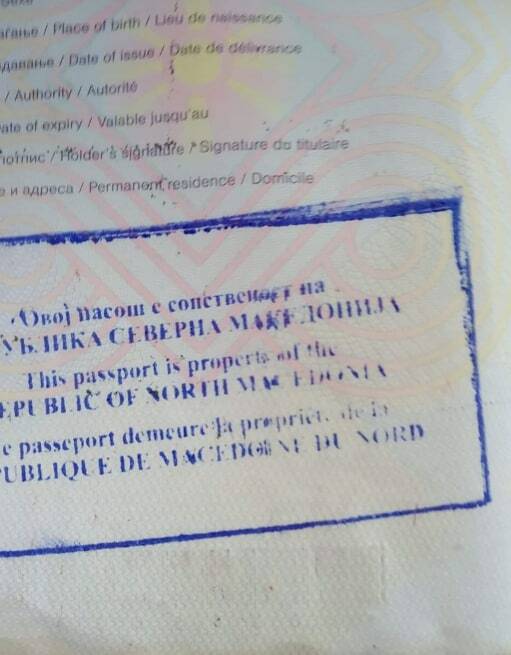 Macedonian citizens leaving the country have confirmed that border officers have begun applying a stamp on their passports which declares the documents to be “property of the Republic of North Macedonia”, in Macedonian, English and French. It is expected that this will be a stop-gap measure to implement the Prespa deal until the Interior Ministry prepares new passports with the name “Republic of North Macedonia”. These passports would be put in use in late 2019, and citizens would have to pay themselves for the new documents.